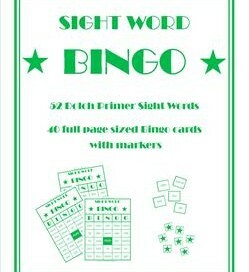 Color-coded in blue, this Dolch sight word bingo – pre-primer game comes with 40 full size pages, instructions, sight word game cards, and markers with stars. Just one more in this row and I’ll have Bingo! Kids just love Bingo! 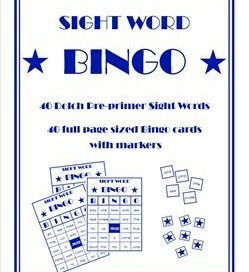 This Dolch sight word bingo – primer game includes 40 full size cards, 52 word cards, playing pieces, and instructions. 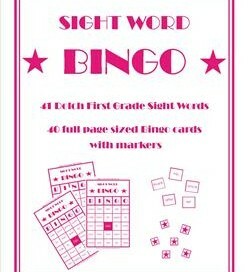 Pretty in pink, this Dolch sight word bingo for first grade comes with everything you need to have a rollicking good time playing everyone’s favorite game.